Most of my photographs are available in any image size from about 5 x 7 inches to about 20 x 24 inches. “Thunderstorm” is an exception. Approximately 8 x 10 inches is the maximum image size for this photograph. The photograph is very bold, which is appropriate for a thunderstorm. Nevertheless, I think it is important that the clouds have a smooth, tactile softness. 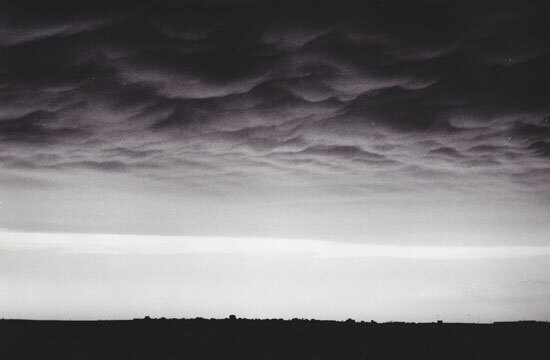 “Thunderstorm” was made with a 35mm camera; the negative is only about 1 x 1½ inches. When enlarged beyond 8 x 10 inches the clouds become grainy and coarse.